How to Check Posture - Do I Need A Posture Brace? Posture is an important aspect of your overall well-being. Spinal misalignment can cause significant problems as you get older, and has an impact on your ability to remain injury free during exercise. 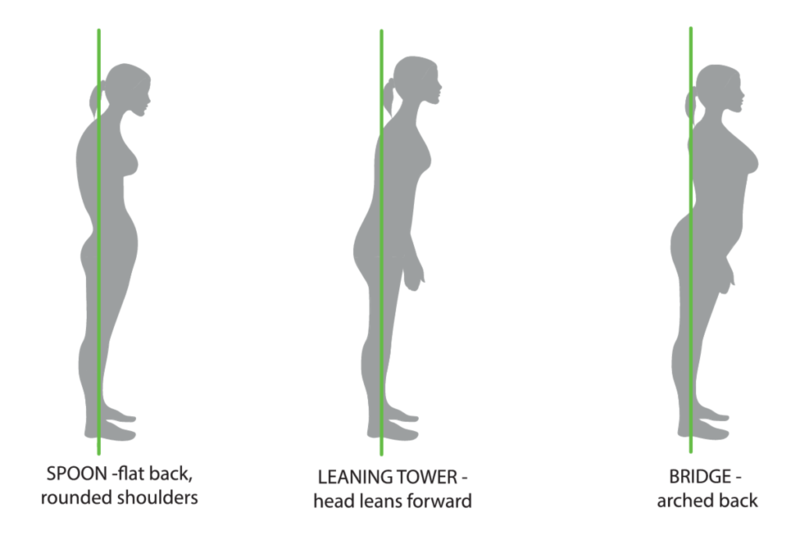 So, given that posture is essential to good health, how can you tell what your posture is? In this guide, we look at everything you need to know about posture, from the bad habits you pick up over a lifetime to how to correct them. Your posture is how your back is shaped when you are standing, walking, running, sitting, or lying down. If you have a good posture, it means that your body is aligned, and your muscles are using the correct tension to hold you up. With an ideal standing posture, your ears should be over your shoulders, your hips should be over your heels, and both your spine and pelvis should be in a completely neutral position. If you have poor posture, your body will be misaligned. You might walk with your feet turned in, or have a slight hunch in your shoulders. The trouble with posture is that it is a subconscious issue – you won’t necessarily know if your posture is poor until you start feeling pain, or someone mentions it to you. There are several things to watch for that cause bad posture. Habit is one of the biggest because it develops over time without us noticing. Various personalities find themselves hunching slightly, subconsciously trying to be less noticeable. Over time, that hunch develops into poor posture. Injuries can also change posture. If you break an ankle, for example, you might start to walk differently because walking is still a little uncomfortable. Again, this small habit can develop into a posture change, and lead to further issues. Seating posture is an important factor that too few people consider. When you slouch in your office chair or work from home on your sofa, you are putting a lot of pressure on the wrong areas of your body. How Can I Tell If I Have Poor Posture? As a rule, bad posture is a result of an imbalance in your body – and it’s something you can spot yourself, or get help with from a friend, family member, or chiropractor. Your career might give you some clues. If you spend hours every day in front of a computer, for example, you could be developing a hunch. Similarly, if you spend all day tiling kitchen floors, you could be damaging one a knee, causing you to change your walk to compensate. The first thing you should do is give yourself a standing assessment. Take your position in front of a full-standing mirror with tight fitting clothes so you can see your outline. Stand up straight – but also relax. You will automatically try and ‘fix’ the issues you think you have, so it’s important to stand just as you would at any other time. Try walking up to the mirror with your eyes closed, before stopping and looking at your posture. It’s a good idea to take pictures, too, so rope in a friend or family member with a camera, and snap your front, side, and back posture. You can then use these pictures to identify where you might be having problems – which we will go into next. What Are Bad Posture Stances? Check your side profile photos and see if your hips are pushing forward in advance of your shoulders, or vice versa. Next, test the same photos to see if your shoulders are pushing forward, so they are in advance of your ears. Again, check for the reverse scenario – is your head leaning forwards causing your ears to misalign with your shoulders? Look for curvatures of the spine, too – is your back forming a hunch? Next, check your front and back profiles, starting from the head down. Does your head appear to be at a slight angle? Look at your shoulders, too – are they at the same height, or is one higher or lower than the other? It’s the same principal for when you are moving down to your hips, are they even, or is one sitting higher or lower than the other? Finally, take a good look at your feet. Are they facing straight ahead, or turning in/out slightly? How Do I Sit Properly to Fix Posture? Given that so many of us spend all day at a desk for work, it’s important to understand the impact of posture when you are sitting down. Back problems are a unique problem in developed countries – they are incredibly rare in emerging regions where people are more active on a daily basis. So, how do you sit correctly? Start with your feet – keep them on the floor or a footrest. Your ankles should be located forward of your knees, and there should be a small gap between the back of your knees and your seat. Bear in mind that your knees should be lower than your hips when sitting down, and no higher than level. You should also ensure that the back of your chair is giving your lower back enough support, and help you keep it straight as much as possible. Don’t forget to relax your shoulders while working, and try, wherever possible, to keep your forearms at the same angle as the floor. A posture brace can help in simulating this sitting position. Most importantly, however, is that you take regular breaks from sitting down. Never stay in your seat for more than a couple of hours without getting up for a walk around and stretch – ten minutes or so should suffice. Products such as the Better Back brace are excellent ways of maintaining good posture while working. What to Do If You Have Bad Posture? There are plenty of things you can do to sort out your posture problems. By far and away the best is to make an appointment with a chiropractor. They will give you a professional opinion, and come up with a plan to help you carry out the necessary changes you need to realign your body. You might benefit from wearing a posture brace, to sit correctly. Exercise is also a good idea. Working with a physio can also help you identify the areas of your body that your posture has weakened, and they will be able to give you the right exercises and activities to bring back the balance.